Christine Brown dedicated her life to teaching piano and inspiring musicians of all ages. Born and bred in Yorkshire, she went to London at the age of sixteen where she had been awarded a Foundation Scholarship to the Royal College of Music. On returning to Yorkshire, she won the Yorkshire Symphony Orchestra Concerto Soloists competition but soon decided that it was in the field of teaching that she wanted to dedicate her career. She taught in various schools in the area including Woodhouse Grove school near Bradford, Harrogate Ladies College in Harrogate and later as a lecturer at Bretton College near Wakefield. Eventually she took the courageous step to "go solo" and moved back to Leeds as a private teacher. She soon built up a successful private practice with pupils of all ages. As a talented composer herself she was able to write attractive pieces to help pupils in the early stages of learning and these were published as a series of Albums. A sight reading series followed entitled "Play at Sight" and this was recently updated by Christine and republished under the same title by Faber Music in one book which received high critical acclaim. Christine was one of the first people to join EPTA in its fledgling stages and she set up and ran the Yorkshire branch for fifteen years. She was also elected as warden of the Private Teacher's Section of the ISM in 1991. Christine continued to support both organizations throughout her life. Her smiling face and brightly attentive eyes were a well recognized sight at EPTA meetings and conferences where other delegates were always amazed by her boundless energy. She gave many talks both at home and abroad on a diverse range of subjects, from "strategies for sight-reading" to "the piano works of Purcell". One of her great passions was the music of Bartok and she was considered an expert in this field. In 1988 she was commissioned by Boosey and Hawkes to write "Mikrokosmos: A Guide for Piano Teachers" to coincide with their definitive new edition of Bartok's "Mikrokosmos". Early on in her career, Christine recognized the value of ensemble playing. She formed a group, the Chandos Quartet, comprising of herself and three other pianists. They performed concerts across the Yorkshire region of works for four pianists at two pianos and had a piece especially written for them by Graham Fitkin entitled "Sciopathy". Christine herself published two elementary duet albums, arrangements of Folk Tunes from "Around the World". She was also editing a collection of duets for Faber Music earlier this year when her cancer was diagnosed. She managed to complete the collection and this has just been published under the title "Real Repertoire Duets". Editing was another field in which Christine was able to bring her considerable expertise. The combination of her wealth of knowledge of music and of teaching the pieces herself meant that she was an informed and sensitive editor. She herself was keen to have some of her favourite teaching repertoire gathered together and published as a legacy for future generations. This has led to the highly successful 5 albums in the highly respected "Real Repertoire" series plus a further three albums of "Real Repertoire Studies" for Faber Music. Enjoyment was a key factor in Christine's teaching. She was so enthusiastic herself and had such great passion and commitment that her pupils could not fail to share her joy. During school holidays she would frequently hold "Play Days" for her younger pupils, giving them the opportunity to meet together in groups and play games designed to develop their musicianship and knowledge of music theory. Her pupils were always highly successful at festivals and competitions where they stood out because of their excellent technique and thorough preparation. Many of her ex pupils kept in touch with her long after they had left the area and would still come back to visit her to ask for her advice or give them a lesson if they had a performance or music exam coming up. 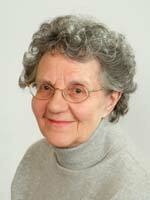 Christine set up the "Christine Brown Trust for Young Musicians" in 2003. In 2008 she held a concert to publicise the Trust and many of her past pupils came to perform at the concert. She was delighted when the first application was received, giving her the chance to see the Trust in action in her own lifetime, giving help where it was needed. Christine's pupils will always remember her warm personality and the encouragement she gave them. She had a real talent for pinpointing just what was needed and tackling it head on. She will be greatly missed by all those who knew and loved her.